A unique exhibition by 10 artists who are linked by ink, paper, and thread, they are Printmakers, Calligraphers and Book Artists. The Gallery is based in Charlie's Gelato Garden, 17 Sharp Road, Matakana. There is still time to see this unusual combined exhibition as it runs until the 2nd December. 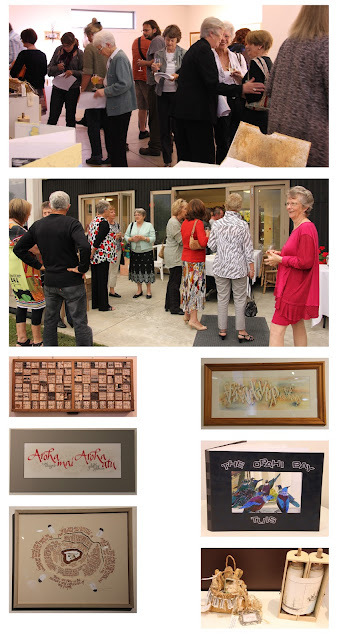 Some casual snapshots have become available, they were taken on the opening night, and capture only a few of the exhibits, you really need to visit to appreciate the range of skill and ability of these artists.